Nihao, my fellow Americans, Scotspersons, Brits, and South Africans, how are you? 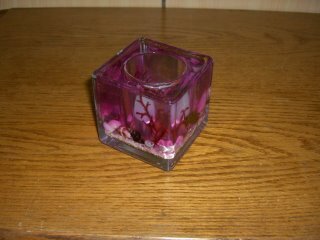 This is a glass candleholder that was handmade for me by Amy, one of the kids in my CE06 class. 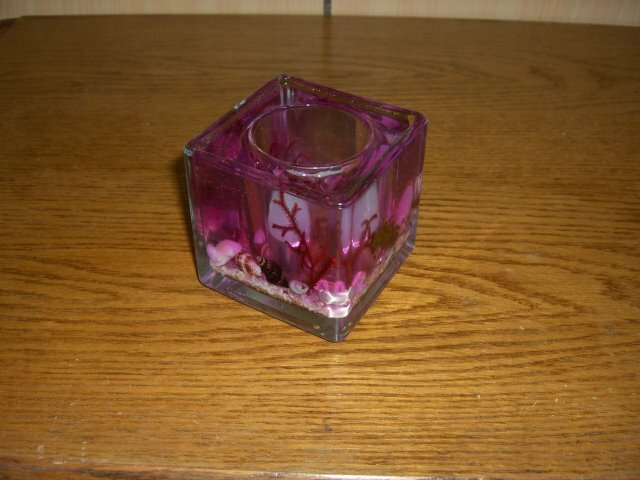 The purple color comes from a gelatinous fill inside the glass, and has shells and coral in it. It's beautiful. She made it for me at a craft stand in the night market, and was fairly dancing with the jitters when she gave it to me after class last week. I keep it in the place of honor in my room, on the shelf with my books and all the rocks I've collected from various places. This installment is more like a diary than a newsletter, I think. There is some fairly big news, and some ramblings too. Not much has been happening here, though. A few weeks ago, my MP3 player broke, so I bought a new one. It's spiffy and white and not much bigger than a flash drive. Even better, it's got 1G of memory, and can hold a lot more music than my old one could. The busy summer has ended at Shane, which means a significant drop in my hours, back down to somewhere near normal. Classes are still going fine. My two CE05 classes have merged together to create a single CE06, which so far has been fine. Of course, we’ve only had 4 lessons so far, and one half of this class is comprised of my five unruly boys, so this good behavior is doomed anyway. We’ll see how long it lasts. CE14, who has been tamed, is beginning to slip again, so I’ve come up with some…incentives for them, which seem to be working. Interestingly enough, my kindergarten, where the average age is five, is much better behaved than either CE06 or CE14. I can’t tell you why, but no horses here, and definitely no teeth. Last week marked the end of CJ08, my junior high class, as I’ve known it for the past three months. For much of that time, that class was in danger of closing down. It only had three students in it, one of whom was leaving in September, bringing the roster down to two. My heart was breaking because I’d lose my favorite class, not to mention three hours of employment every week. Judy and Cheyenne’s language level is high enough that they would have had a hard time finding another class which fit their age level and school schedule. So Jennifer and I put our heads together and came up with a proposal for their parents (basically turning it into a private class), which they accepted! So we won’t have to lose them after all. Yesterday was the first day of the all-new CJ09, and like usual, it went swimmingly. The reason that my third junior high student, Monica, couldn’t join CJ09 is that she’s entering her third year of junior high, which is arguably the most brutal year of a Taiwanese kid’s schooling. Universities and high schools all have tough entrance exams, and the better the school, the harder the exam. So the third year of junior high is dedicated to preparing for these exams, which means that many kids are at school seven days a week. The schools here can run laps around the education slapped on a bun and thrown at you in America, but sheesh! I can’t say that I envy the kids here. There’s laughably lame, but there’s also too much. I see the effect in my own classroom: when asked to describe their favorite hobbies, or what they did over the weekend, more often than not I get a blank stare. What does an automaton do for fun? Not that my kids are really automatons, but you know it means something when the vast majority of them cannot catch a ball. 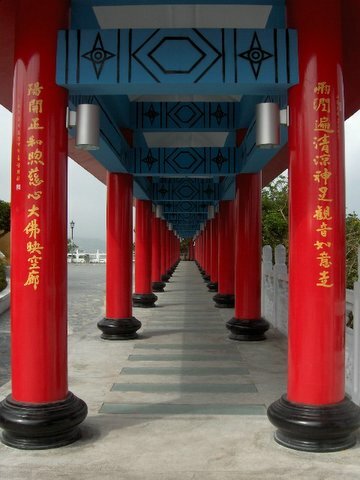 And yet, despite this broad disparity between education levels, Taiwan continues to worship America as the land of opportunity, and America continues to spit upon university degrees earned abroad, as if there was an overwhelming probability that their “foreign” education would be a much lower quality than what’s served up at home! To me, that’s akin to movie theaters not letting you bring in your own food. Your choices are the overpriced crap that they offer, or nothing. Of course not everything offered is bad – they do sell water – but a large chunk of it isn’t very useful.